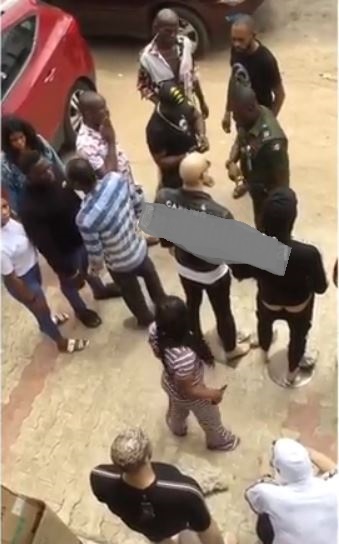 A video has emerged on social media showing the moment some angry customers arrested a boutique owner in Delta state. The angry customers brought police officers to arrest the boutique owner because, according to them, he sold them fake slippers for N8k each. The incident which happened in Asaba in broad daylight, caused serious drama in the area as people stopped to find out what was happening. The viral video has also sparked some stir on social media as users also gave their own stories of being defrauded by boutique owners.